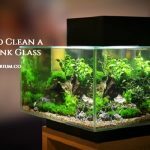 Wondering to know about how to clean a fish tank or a fish aquarium? You’ve come to the right place. 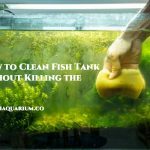 In this post, I’ll discuss some of the brilliant yet easy-to-implement method cleaning your fish tank or your fish aquarium. To make sure a good health of your fishes, you need to properly take of their living place that means the tank or the aquarium. So, without any delay, let’s start with the steps. 1 How to Clean a Fish Tank? 2 How to Clean Fish Aquarium? If you’re enthusiastic to know about the cleaning procedure of your fish tank, then congrats! Your waiting is over. Just check out the steps below and you will know the strategy of how to clean a fish tank. As a first step, you need to rinse your fish tank with warm water. And then properly wipe out it using a paper towel (if required). Never use any kind of detergents or soaps, as these substances will kill the fishes. When you’re keeping a fish tank in your home, it’s your responsibility to take care of it. You have to thoroughly rinse off aquarium rocks, and gravel along with all other decorations in your fish tank with the help of warm water prior to bringing them back to the empty tank. It is also a good idea to make use of a colander for rinsing the rocks and gravel until the running water gets clear and free of waste. I hope you’re getting answers of how to clean a fish tank. Kindly keep on reading. In this step, you need to fill the one-third portion of your fish tank with aquarium compatible water in a room temperature. 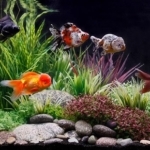 Two types of aquarium-compatible water are available that you can use in your fish tank. One is pre-treated water and another is fish-safe aquarium water. You can collect the bottle from either a local pet store or from tap water that has been properly treated with a conditioner, such as EasyBalancePlus or AquaSafe so as to de-chlorinate as well as to remove remaining heavy metals and harmful chemicals. If you are going to use treated tap water, don’t forget to follow the guidelines on the backside of the respective bottle. It was one of the important steps in your query of how to clean a fish tank. Next, you have to connect the respective airline tubing from your fish pump to any of the decorations or bubble bars whatever you have. You are free to include the aquascape with live or fake plants whatever you prefer to include. Actually, these arrangements are meant to hide the filtration equipment or air pump of your fish tank. If you are planning to include live plants, don’t forget to ensure that the water is sufficiently warm prior to planting them in the gravel, else the plants will get destroyed. I hope you have got decent ideas about your query how to clean a fish tank. Now, let’s proceed to the next segment. How to Clean Fish Aquarium? Many people think that cleaning an aquarium is a very difficult task but actually it is not. 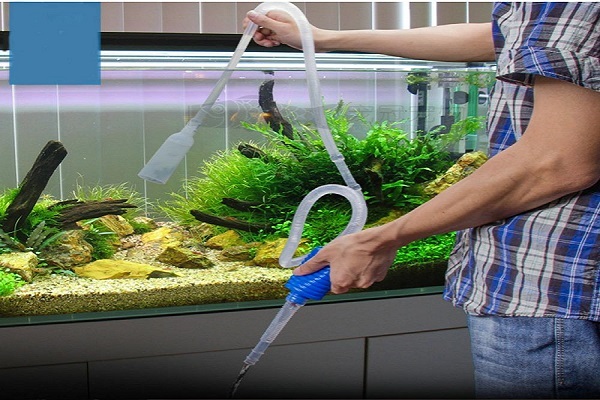 Let’s take a look at the important steps of resolving your query how to clean fish aquarium. First, you need to monitor the pH levels as well as the visible gunk on a regular basis. It is also important to alter your filter cartridge after every two to four weeks. And a 25% change to the aquarium water is essential within every two to four weeks. You can take help of the algae scrubbers along with other tools for improving the appearance between cleanings and changes. In order to change the water, you need to turn off the pumps, filters, and heaters and then remove all the plants and decorations from your aquarium. In the next step, start washing everything washing in clean, warm water and keep them aside. Don’t remove your fishes frequently in times of cleaning unless they could get stressed that could make them sick. Just remove your fishes gently using a net and then place them in a huge bucket or glass with some water from the original tank. 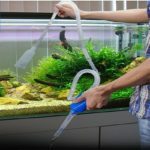 Next, you need to make use of a homemade syphon or gravel cleaner and then thoroughly vacuum the particular gravel until the removal of the around one-third part of the water from the aquarium. And don’t forget to replace the existing old water with pretreated fresh water but the temperature should be the same as the old water. 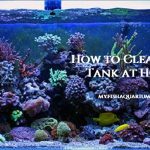 I hope you have got your answer of how to clean fish aquarium. I hope you’ve found the tips useful and will implement them as per the directions. With proper care, you could improve the beauty of your fish tank or fish aquarium.